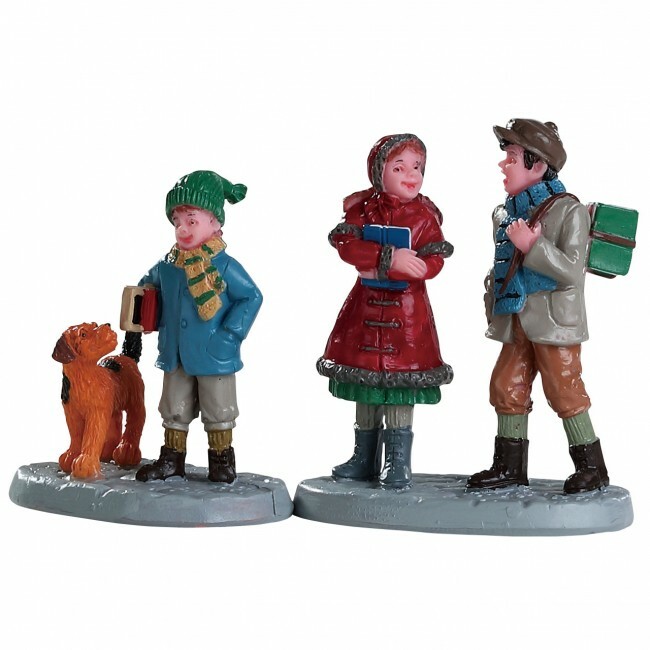 Lemax Going To School Figurines (Set of 2) depicts three young school children dressed for a Winter walk to school whilst the pet dog tags along for a short while. Seasonal Lemax Village miniature accessory which joined the Lemax Village themed range in 2018, suited for placement in a Lemax miniatures street scene. Going To School Figurines comprises multiple individual hand painted polyresin figures mounted on two individual street bases to compliment your seasonal Lemax Village display.